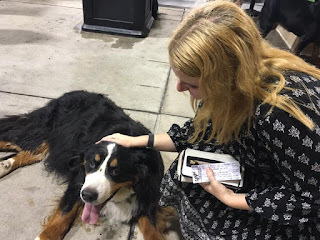 Last night was my first Sox game at US Cellular Field (the Cell). It turns out last night was also another momentous occasion: it was their annual Bark at the Park event, where fans attend the game with their dogs! The Sox set out to achieve the record for their annual “Bark at the Park” event, and a Guinness World Record adjudicator was on hand to verify the record and award the club with a certificate for the feat. 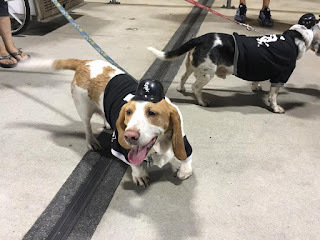 The Sox needed a minimum of 1,000 dogs in attendance for the record, and the dogs had to remain in their outfield seats for a period of 10 minutes, starting at the top of the third inning, in order for the record to count.